Dallas had returned to television after nearly 20 years away. This month the Ewing family makes its return and will include some of its original cast from the hit show that aired between 1978 and 1991. Leading the return to the small screen is Larry Hagman as the always scheming and ruthless J.R. Ewing. The series followed the trial and tribulations of the Ewing family an ultra-rich family in Dallas thanks to oil. The new series will premiers in a two-hour special June 13, 2012. During the peak years, the show was number one in the ratings and was personified by Hagman. He returns in all his glory to continue his conniving ways. 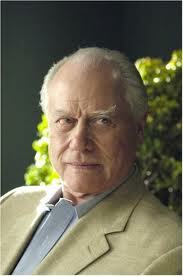 Hagman said in a recent interview that returning to the show was a like going home. He said it was as if he were away for 20 years and is back home again. The original was filmed for the most part in and around California, but the new series has been filmed mostly in Texas, with much of it at Cowboys Stadium and at the Winspear Opera House. One interviewer asked if J.R. was mellower than before because of his age and Hagman joked that he hoped not. Last year, Hagman went through a battle with an undisclosed type of cancer, though he said he loved the opportunity to return to work opposite fellow actor Patrick Duffy. Duffy plays J.R.’s brother Bobby in the series just as he did during the original. Hagman said he and Duffy enjoyed making the original Dallas and their relationship has been maintained for the past 20 years. The two have met for dinner of lunch at least twice per month for the last twenty years said Hagman. The new series will consist of ten episodes in its initial run.